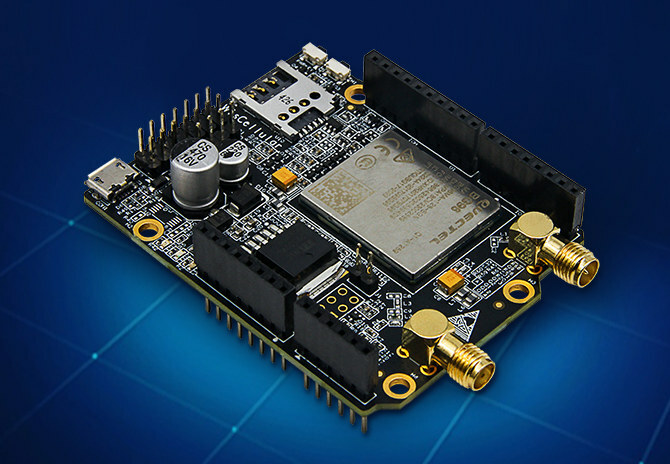 RAK Wireless introduced WisLTE Arduino shield last year based on Quectel BG96 module with support for NB-IoT (Cat NB1), eMTC (Cat M1), and 2G fallback as well as GPS location. WisLTE worked globally, but the company did not go through the certification process, at least not for the global market, meaning the shield could not be used in commercial applications. 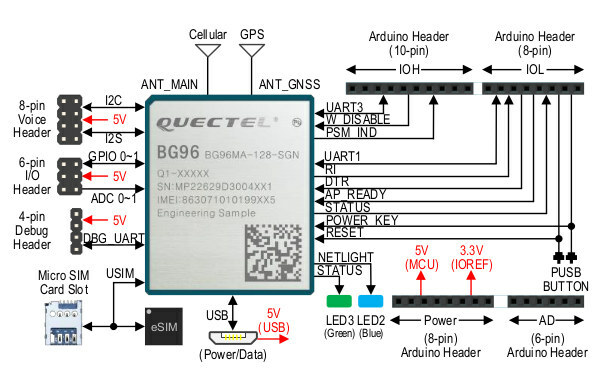 That’s why Rak Wireless has been working on WisCellular shield, also based on Quectel BG96, but this time with global certification. The board comes with drivers for Windows, Linux and Android support control via AT commands, as well as various network protocols such as PPP/TCP/UDP/SSL/TLS/FTP(S)/HTTP(S)/NITZ/PING/MQTT. I’d expect the board to work exactly like WisLTE shield, and you can find the software development resources here. There’s just a little problem, the board is not available yet, and instead the company is looking for 10 beta testers. If you are interested, you can apply via the beta page, select your Arduino board(s), and enter contact details as well as the development area. The application must be completed before September 27th, after which the company will select 10 winners, and send them their kit with an Hologram SIM card and a beta version of an Arduino Library for BG96 module, all free of charge.